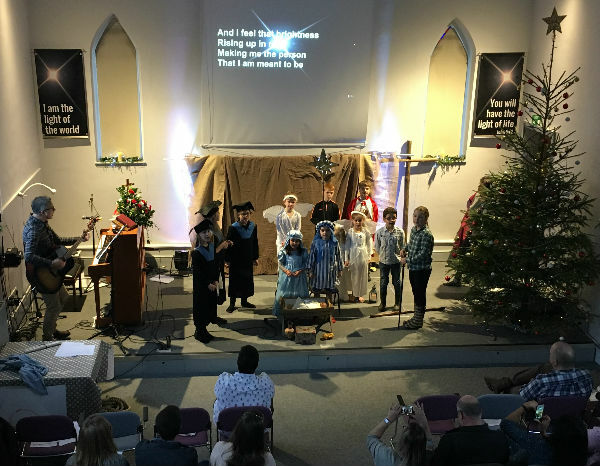 Christmas is a special time as we celebrate the birth of our Saviour and Lord Jesus Christ. And got to know our new Pastor Robin. Easter Day, 2018 was a very special celebration at WEF as we witnessed the baptism of six people as well as celebrating the joy of the resurrection. Commissioning - On Sunday 17th September 2017 Chris and Fi Mellor were commissioned for their new role with Stand by Me in Ethiopia. They were presented with an album containing cards of memories and best wishes from members of the church. Paul North spoke on John 15 v16: "You did not choose me, but I chose you." After the service almost 200 people stayed for lunch. 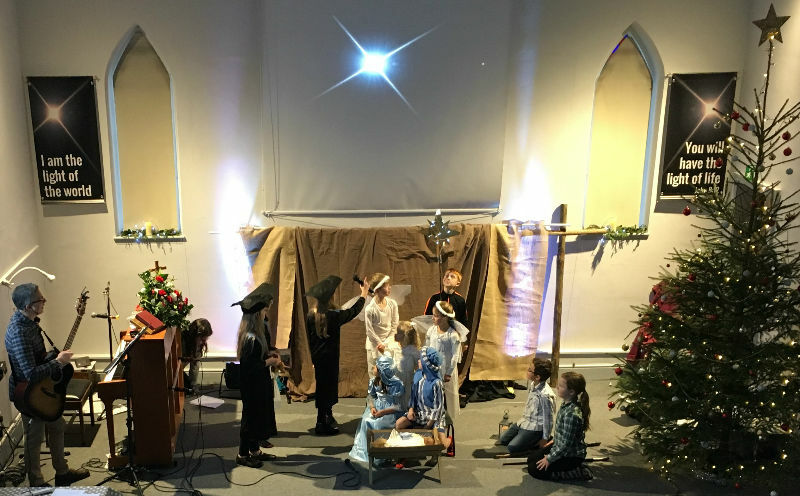 Holiday Club 2017 - During the last week of August we had the children's Christian holiday club in the village hall. 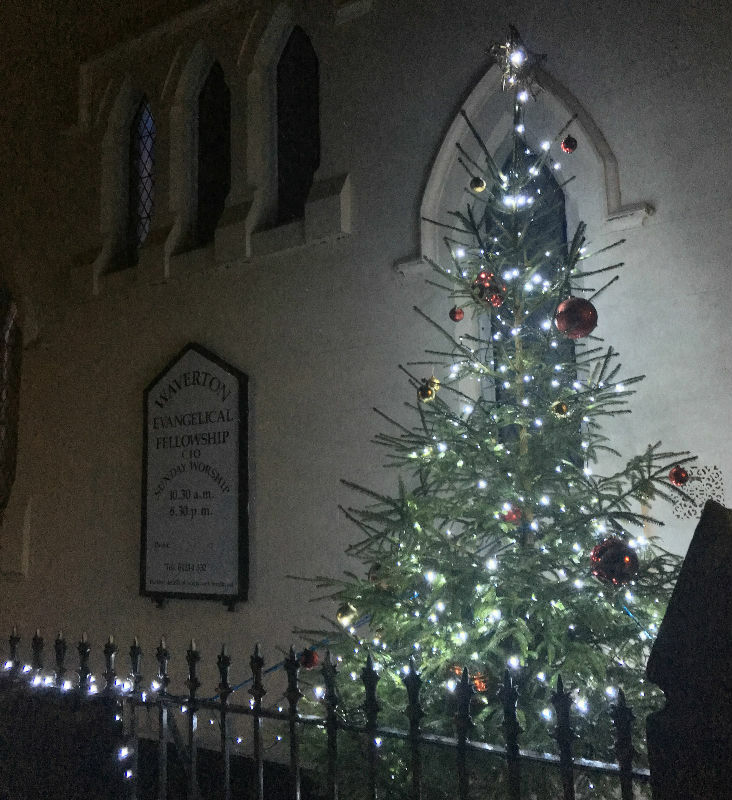 This is a combined activity with St Peter's Parish Church and Rowton Methodists. There has been a holiday club in the village since 1967 when Eric & Barbara Barwick held the first on their premises in Brownheath Lane. 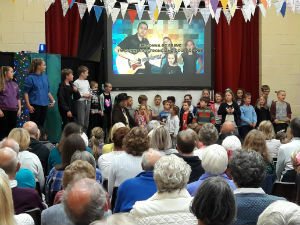 The picture shows some of the children singing one of the week's songs at the service in the village hall on the following Sunday. 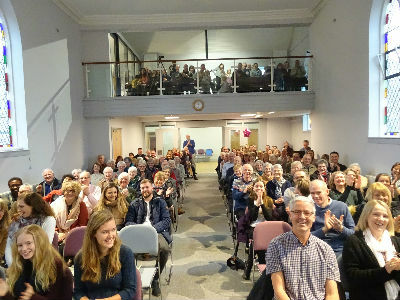 On Sunday 23rd April 2017 we celebrated 40 years of the life of the Fellowship. 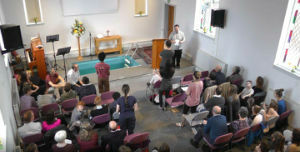 We have grown from a small group meeting in a barn to a regular congregation of over 100 with 94 members. 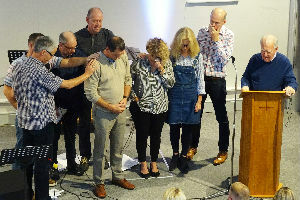 We thank God for the evidence of His hand at work amongst us and look forward to His continued blessing as we seek to serve Him in the village and beyond. 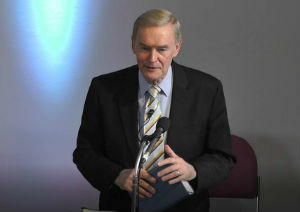 Steve Brady, Principal of Moorlands Bible College speaking at the service. We had a Fellowship lunch after the service and enjoyed the opportunity to speak with former members who had returned for the day. On Saturday 18th February 2017 we held an Open Day and were delighted to welcome over 130 people into our refurbished building. 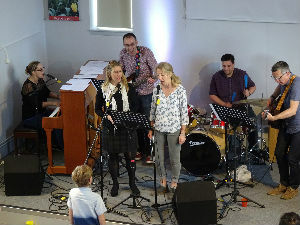 On Sunday 12th February we returned to our church building following a five month refurbishment. 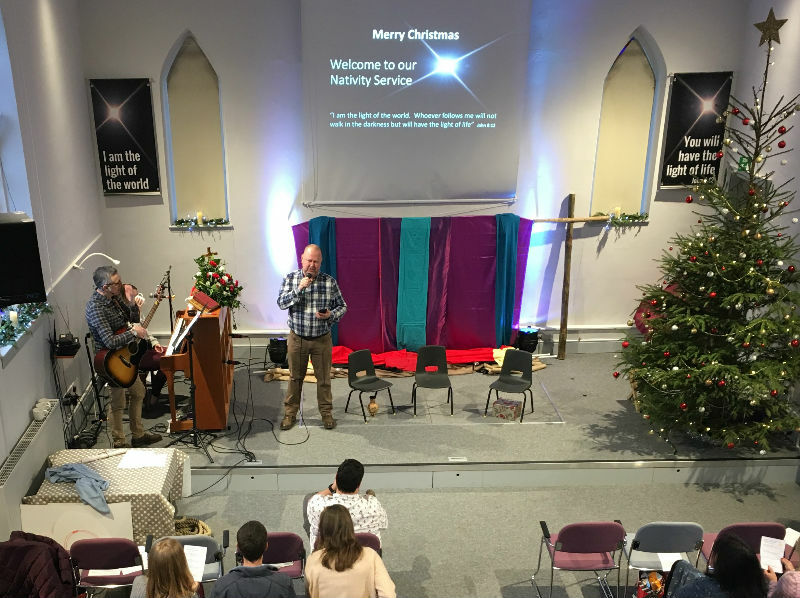 Our building was acquired by the Fellowship in the early 1980s when the members undertook a major refurbishment including the addition of a new entrance, toilets, Creche room and kitchen. 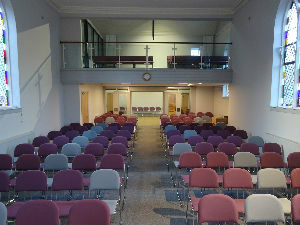 In 2004 the annexe was added to provide three more meeting rooms, toilets and office space. In the autumn of 2016 we undertook a further major refurbishment to make the building suitable for the Lord's work for the next few years. The main contract was completed on time in January 2017 and since then we have undertaken several self-help projects to improve other areas of the building. 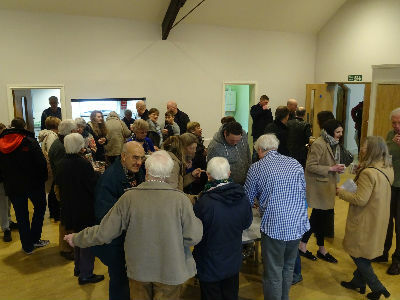 By Saturday afternoon, 11th February the building was once again ready for use and there was excitement as we prepared for our dedication service on Sunday 12th February. We are excited at the prospect of using the building to its full potential.